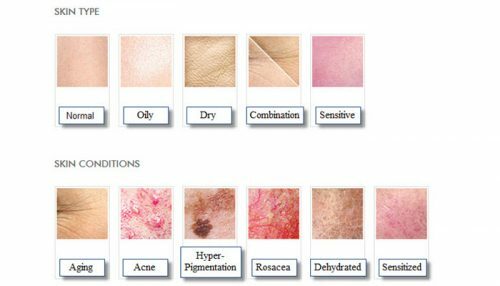 Do you struggle to know what skin type you have? Do you know the difference between your skin type and skin conditions? If not, I’m here to help. This post is about bringing skincare back to basics. I want to give you little tips on how to identify different aspects of your skin which will allow you to better understand your skin and it’s needs. Then, you might be able to choose the correct skincare and products which best suit your specific skin type or condition. So, to get start you need to know that there are four basic skin types. Normal, Dry, Sensitive and Oily. There is also combination skin which, as you can guess is a combination of two or more of the basic four skin types. To make it simple and not to bore you with all the technical bull (although it isn’t bull to me! I love all the nerdy stuff) I want to list some characteristics of each skin type so that, when you look at your skin you can see which ones resemble yours. Often people will have a combination of two or more of the above skin types. For example, people may have an oily T Zone, Sensitive cheeks and Normal skin on the rest of their face. It can be hard to find products to treat all of the skin types. However, nowadays there are so many products on the market that are designed to treat combo skin. For example, using a lightweight product designed for sensitivity will not create excess oil in the T Zone while keeping your sensitivity at bay. Unless you have very extreme skin types in certain areas I would suggest picking either products designed for combo skin or if one skin type is more prominent you can use products to treat this and you won’t have an issue. One other area which I want to touch on quickly is skin conditions. Your skin type is the type of skin you are born with. Skin conditions are conditions that come and go throughout peoples lives and can be treated with specific products and vitamins. All skin types can get all skin conditions. Skin conditions are influenced by both external (environment, skincare routine, climate, diet etc) and internal (stress levels, hormones, ageing process). Some skin conditions include Dehydration (not to be confused with dryness), Rosacea, Psoriasis, Eczema, Acne, Ageing. I will do a separate post on skin conditions too if you would like to see it. The one that gets confused the most is dehydration, people think they have dry skin but infact you may simply have oily skin (with enlarged pores and sallow complexion) but may suffer from dehydration due to over stripping of the skin with harsh products or environmental factors such as central heating. Dehydration is a lack of water as opposed to lack of oils which is what dry skin is. What I would say is, if you have any doubt about your skin it is always a good idea to get it analysed by a professional. Using incorrect products can do more harm than good and its something that can be avoided with some professional care. Lots of brands and clinics will give complimentary skin analysis, you can take this advice without buying all the products and apply this new knowledge to your existing products, or less expensive versions of products. If you have any questions for me, please feel free to use the Ask Anita or Contact pages or pop a comment below. How did you find this post? Did you find it useful? Have you a better understanding of your skin type? Let me know in the comments below what skin type you think you have. Think Im dry all over does that sound right?? Thanks Anita. Great post .